Medpricer recognizes Hennepin County Medical Center for achieving significant purchased cost savings and internal capability building. Luis Valadez, Director of Supply Chain Management at HCMC accepts the 2015 Center of Excellence in Healthcare Purchased Services Award. Working with an experienced partner like Medpricer we can continue to grow our in-house sourcing team and successfully achieve our sourcing objectives resulting in substantial cost savings opportunities with improved service levels. Medpricer, healthcare’s leading cost management platform for purchased services, awarded Hennepin County Medical Center (HCMC) its 2015 Center of Excellence in Healthcare Purchased Services Award in recognition for HCMC’s ability to achieve value and cost savings in its health system. The award honors the HCMC supply chain team as a top performer in strategic sourcing, actively engaging stakeholders to realize savings in purchased services while enhancing the patient care experience and increasing value to the health system. These efforts have resulted in an average of 30% in cost savings and 67% reduction in sourcing cycle time for HCMC. 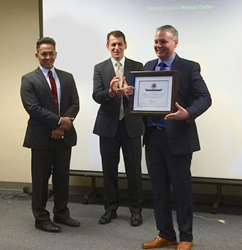 Medpricer presented HCMC the award at a ceremony attended by their entire supply chain group and HCMC’s CFO, Larry Kryzaniak, who has responsibility for the supply chain function. “I’m proud of this team that has delivered bottom line savings, both by reducing costs and improving quality commitments. We look forward to the team’s continued growth and success,” added Kryzaniak. “As a result of the HCMC supply chain team’s work with Medpricer, HCMC has saved 30% of purchased services costs allowing them to protect HCMC jobs and expand patient care options,” said Gormley. Hennepin County Medical Center is a nationally recognized Level 1 Adult Trauma Center and Level 1 Pediatric Trauma Center with the largest emergency department in Minnesota. The comprehensive academic medial center and public teaching hospital includes a 472-bed acute care hospitals as well as primary care and specialty clinics located in downtown Minneapolis and its surrounding communities. Medpricer is healthcare’s leading cost management platform for purchased services and offers the industry’s only comprehensive Purchased Services System to blend cloud-based technology with on- demand professional services. Using Medpricer, healthcare providers can realize an average of 24% savings and a 40% faster sourcing cycle while paying no out-of-pocket costs. Contact Medpricer at (203) 453-4554 or contact(at)medpricer(dot)com for an assessment of your health system’s potential for savings. 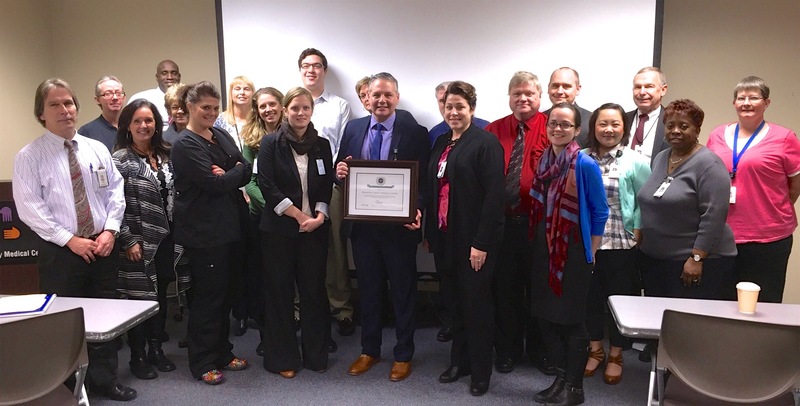 The Hennepin County Medical Center’s supply chain team is recognized as a top performer in strategic sourcing.